Pioneer Park has beautiful manicured lawns and is home to the local War Memorial and Lions Rotunda which is a very popular wedding location. 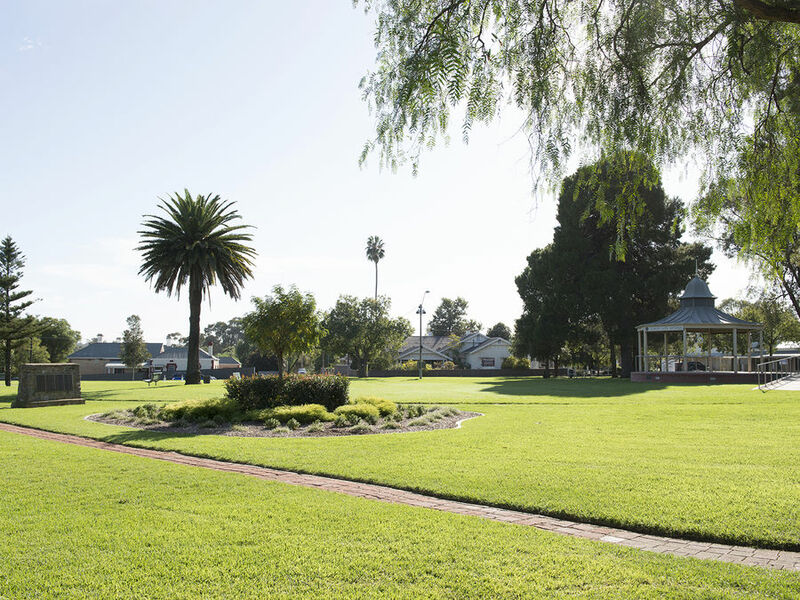 This park is centrally located along side the Gawler Visitor information Centre and Bike Hub. An easy stroll to the main shopping precinct and local eateries. On Saturday mornings a popular Aussie Farmers Market is held in the car park and the area hosts many community events including ANZAC Dawn Service, Rotary Village Fair and the Gawler Carols among others. Picnic tables make it an ideal spot for lunch!